A local community group in Wyre Forest is calling for your vote to secure £48,698 of National Lottery funding as part of this year’s People’s Projects. KDYTs Wyred & Creative, which is based in Kidderminster and which works with young people and the local community, is one of five groups in the ITV Central West Region in the running for a share of a life changing pot of £3 million up for grabs across the UK. 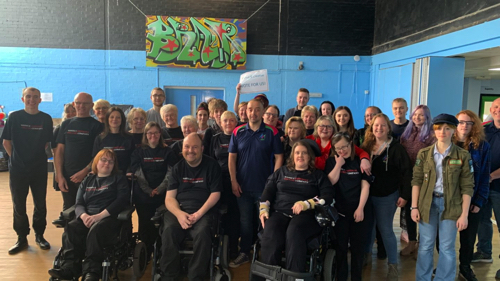 Since 2005, the partnership between The National Lottery Community Fund, The National Lottery and ITV has given the public a say in how funding should be put to good use in their local area. On Friday 5thApril 2019, KDYT will showcase its project, Wyred & Creative on ITV Central News at 6pm telling local viewers exactly why they deserve to win. To be in with a chance of claiming the top prize, KDYT is asking people to support its bid by visiting the People’s Projects website to vote. Voting opens at 9am on Monday 1 April at www.thepeoplesprojects.org.uk. If successful KDYT will use the grant to bring people together to create a community space for activities they want to see such as cheerleading, dancing, drama sessions and an arts festival. The space will be available for a range of different groups to use including young people, older people, lesbian, gay, bisexual and transgender community and people with disabilities or dementia.